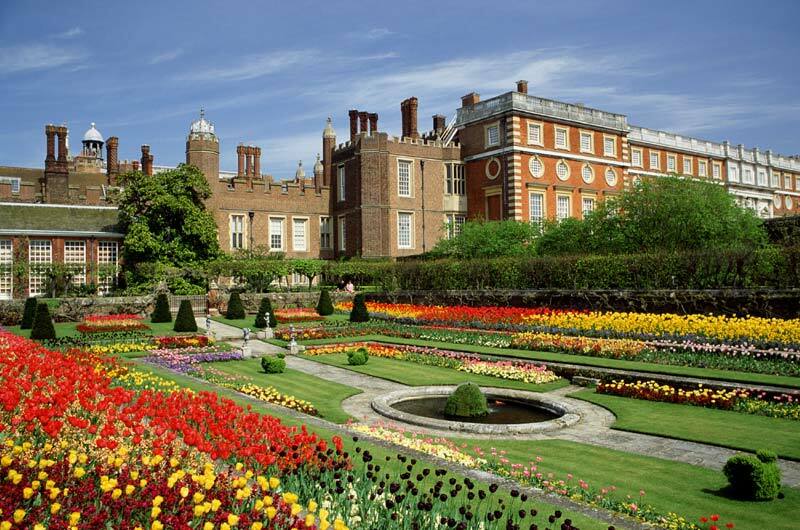 England & Scotland | London Vacation Package | England Vacation Package | Britain Vacation Packages | United Kingdom Vacation Packages | Gate 1 Travel - More of the World For Less! 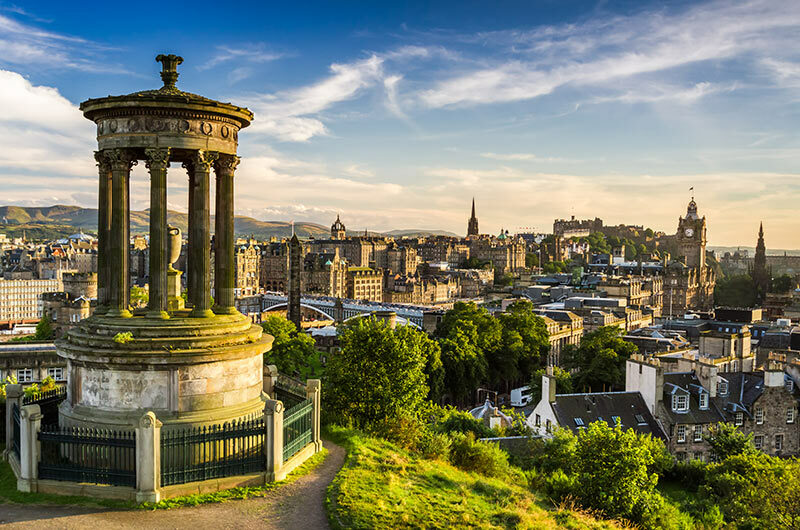 8 Day Affordable England & Scotland Book By Jun 13, 2019 & Save! 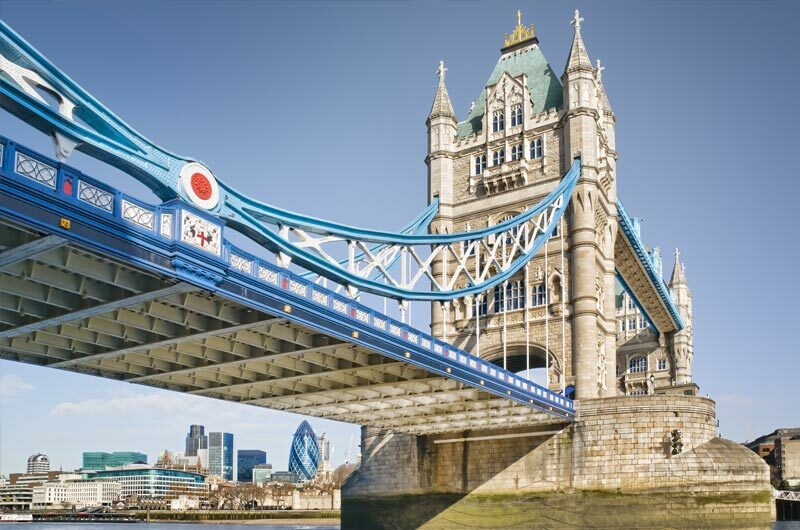 9 Day Affordable Amsterdam, Bruges, Paris & London Book By Jun 13, 2019 & Save! 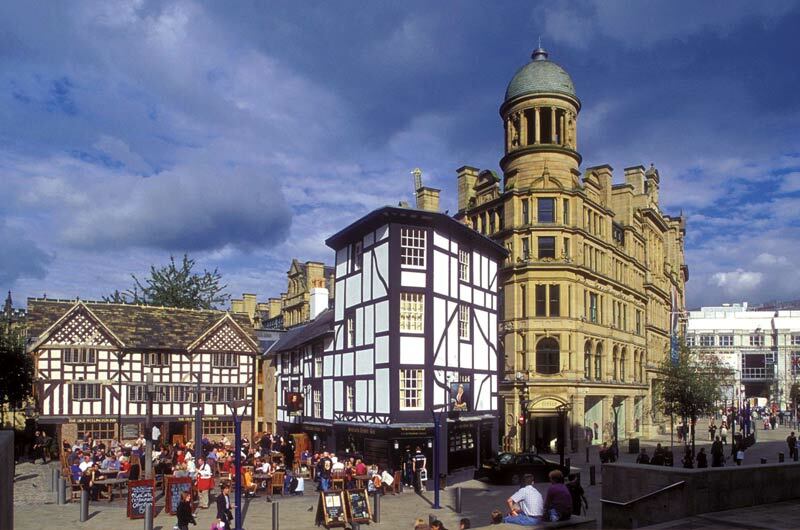 10 Day Affordable England & Scotland Book By Jun 13, 2019 & Save! I had a fabulous time. Cristina our tour guide was just perfect. Informed, pleasant, funny. I don’t think I could have had a better trip. Loved England/ Scotland and would go back again. I look forward to my next Gate 1 trip. We had a great time. Our guide Christina was amazing!!!! She deserves a raise. We loved going to the farmhouse in the lake district. Jill was so friendly and the scones were delicious. Another great trip from Gate 1. The trip was excellent. Our tour manager John is fantastic. He should have an award for the most caring and detail oriented guide ever. Alan, our tour bus driver, he got us through the narrow pathways and without a doubt, he is the best driver I ever seen. Good job, I will definitely come back to Gate 1 for my future trip. This was our first Gate 1 tour, must say that we had a wonderful trip. Our driver, Tommy is an excellent, skilled and professional. Jaime was knowledgeable, organized and extremely helpful. Looking forward to our next Gate 1 vacation. Our trip was fabulous! Our tour managers were informative, interesting and so much fun. They were helpful in every way! A special thank you to delightful Liz and Paul. We met many wonderful people who we hated saying goodbye to and hope we met again. The special tour guides were amazingly well informed and personable. Their passion and love for their cities was contagious. The trip was well planned and every place we toured was interesting and special. The additional extra tours and dinners were little jewels, not to be missed. We will definitely use Gate 1 to plan our next vacation and have recommended it to our friends. Thank you for giving us such wonderful memories. The trip was terrific. Our tour guide for the week, Elaine was excellent ... She kept us on point, on time and entertained, always with a smile and funny antidotes. Our bus driver David was also excellent, keeping us safe and on time. Each local guide was terrific. This was our 5th tour with Gate 1 and I am sure there will be others. Thanks for a wonderful trip! Scotland and Ireland trip was more than we expected! We were told by locals that the weather we experienced was the best that they have had in the past five years! We never had to use umbrellas or ponchos. Accommodations were outstanding, food was interesting and surprisingly good, specials were fun and interesting, sights and excursions were interesting, fun, and educational. So many memorable moments. The "Queen" was even at Holyrood Palace while we were in Edinburgh ... Lots of wonderful memories between the beginning of our trip and the close of our trip in Dublin - where we had the opportunity to view the books of Kells of Matthew, Mark, Luke, and John ... It was the most congenial group of people I have ever traveled with on any of my trips! Many of us will stay in touch with each other. Our tour guide, Patrick, and our bus driver, Jim, were outstanding...friendly, knowledgeable, funny, caring, lovable. Davis and I will miss them! It was wonderful and packed with charming surprises like Scotch tastings, tea with clotted cream and scones, and morning Irish coffees! It was informative, interesting, and full of an excellent variety of history, culture, beautiful landscapes, and fun! Both of our tour managers were great and we came home with lots of “Christina-isms” and “Cecilia-isms”. And both tour managers took good care of us including box breakfasts on the two days we had to be at the airport early. We also appreciated recommendations on pubs and restaurants such as the Dirty Duck in Bath or the Bracin in Waterford! We plan on traveling again with Gate 1 Travel. We could'nt have asked for a better vacation. Our trip was so wonderful. We enjoyed Scotland and throughly loved Ireland. Our tour guide Francis Carroll, was so informative, educational and such a delight to be with. He made our trip so pleasurable. Our bus driver Brian was a joy too. He skillfully skirted around tight squeezes without a hiccup. Our excursions was great and so were the local tour guides especially Ronin. He gave us a lot of insight of the local area, and made .you want to hear more. A great tutor! We will certainly choose Gate 1 travel again. You made our "go to" list of agencies to use. You will be hearing from us soon. We thoroughly enjoyed our Gate 1 trip to the Northern Highlands of Scotland: great itinerary, interesting sightseeing, top-notch tour director (Lorna Johnson), excellent driver (Malcom), good local guides, companionable group of fellow travelers and each day was carefully planned. We had an amazing trip of England, Scotland and Ireland. The tour was everything I thought it would be and more ... Francis Carroll was an excellent tour guide. Very informative, personable and helpful man, along with our driver Tommy. I would travel with them again as guide and driver combination. Had a very nice time and saw a lot! The group of people on the trip were all so friendly and fun ~ it made traveling together great. Our guide was also very helpful. My favorites: The Titanic Museum in Belfast: York: and the sheep farm in Westport. Dublin was too crowded for my taste ~ the viewing of the Book of Kells was almost impossible due to the large crowds. We had a wonderful time. The weather was perfect. Our tour guide Philip was excellent and the day guides as well. The whisper boxes are an awesome way to communicate. I did not have to keep up fully to hear what was being said. We thoroughly enjoyed all of our destinations especially Edinburgh. All of our overnight commendations were fine and the meals were wonderful. I'm sure we'll be doing other trips with Gate 1 in the future. It was great. We can’t say enough good things about our tour guide, David Seagrave and our driver, Tommy Doyle. Both were excellent. The stops and photo opportunities chosen for the trip were outstanding. It was a trip of a life time. My trip was amazing every minute. Our tour guide was the best, he was incredible. Michael was on top of every inch of our trip and more. I'm still coming down from this trip, life changing. The trip was great. We enjoyed all aspects of the trip.The gate 1 guides, Hilary in England and Scotland as well as Martina in Ireland were excellent. We highly recommend Gate 1 to all our friends and certainly plan to travel with your company again. Keep up the good work. The trip was great.We enjoyed all aspects of the trip.The gate 1 guides,Hilary in England and Scotland as well as Martina in Ireland were excellent.We highly recommend Gate 1 to all our friends and certainly plan to travel with your company again.Keep up the good work. I enjoyed my trip very much! I was able to visit many places my ancestors came from. I went the church in Scotland my 6th great grandfather was baptized in on 15 February 1698!!!! It was one of the highlights of my tour. The tour directors were excellent and very knowledgeable. Thank you for a memorable trip. Amazing! Thank you for asking. It was everything we could hope for! Our guide, Paul, and driver, Gary, were both top notch. The food, the hotels, the destinations were all outstanding. We will do Gate1 again and recommend it to family and friends. 8 day unescorted London, England, was just fantastic. London is city that so easy to move around in and plenty of things to keep us busy. I will definitely be looking for more unescorted trips. We had a wonderful time! Our director, Ann, was fantastic. She has a head full of informative and fun information about every where we stopped as well as entertaining facts as we were in the bus. Her service was top notch! Our hotels were all very nice and more upscale than I imagined. We will be booking again with Gate 1. Very good. Saw many beautiful sites and met a lot of nice people. Very pleased with Gate 1 and would consider them again for future trips. Our trip was wonderful! Lorna, our tour guide, was FANTASTIC; she is knowledgeable and clearly shared with us her love of Scotland and it's history. This was our 5th Gate 1 trip and we look forward to many more. I enjoyed the trip very much. The scenery was beautiful and the historical buildings were very interesting. And, Michael was an excellent guide. He's articulate, knowledgeable, and very helpful. Like all Gate 1 trips, the 10 day Classic Tour of Scotland was wonderful. We saw so much of the country and had free time to interact with the Scottish people in restaurants, pubs, on public buses, etc. We enjoyed the rich history and historic places like Culloden that really opens one's eyes and heart. The scenery was breathtaking. Our tour guide Michael offered us so much information and provided us with Scottish treats and beautiful ballads on the bus trips. He was calm, caring and made us laugh. Kenny our bus driver was also kind and a great driver on those narrow roads. I would recommend this trip to anyone. The England/Scotland trip was amazing! My entire family had an absolutely incredible time on the trip! And we all appreciated how well the entire tour was managed, from airport transfers to comfortable hotels located within walking distance of city highlights and great tour guides who provided excellent recommendations on things to do and eat. 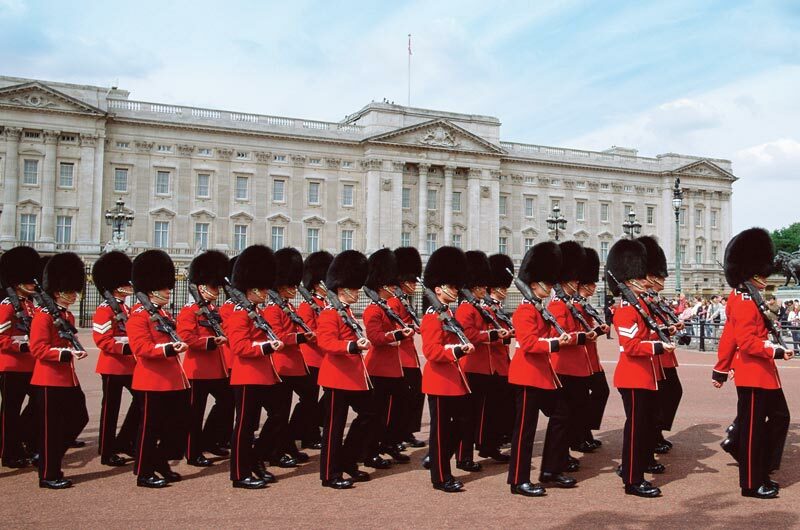 There was also a good balance of leisure time in London and Edinburgh to explore on our own, during which time we went to afternoon tea, spent some more time at Buckingham Palace, and checked out the Sherlock Holmes museum. Thank you so much for your help coordinating our family trip from different cities - it was a really special adventure together thanks to Gate 1! The trip was fantastic. This is the first time we've used Gate 1, but it won't be the last. Our guide, Patrick was amazing. He made it seem like he wasn't even working, yet managed to keep everything running very smoothly. He did it all with professionalism and courtesy. Our driver, Brian was not only a great driver, but a hard worker who managed our luggage with ease. The seat assignments on the bus worked out very well. I thought I wasn't going to like it, but it was actually very efficient. We had a magnificent trip. The weather was great - no rain for two weeks in England and Scotland. We had two fabulous guides, Ann in England and Phil in Scotland. Both were super people who went out of their way to make our trip a success. They filled our days with knowledge and humorous stories that we will carry with us. Our drivers were also great. This was our third trip with Gate 1 and we are looking forward to our next one. The trip was fantastic. It was the best ever. The hotel and staff were wonderful. Our tour director Christine was great would recommend her to anyone who is interested in this trip. Everything went off without a hitch. Tour guides were the best. I can't say enough about how much we enjoyed our time in England. Thank you for all that you did to make our time a wonderful experience. It was excellent - fascinating tours, comfortable hotels and a good choice of itineraries. We were very satisfied. It was a wonderful trip, thanks! We had a decent hotel in a good area that was close to the tube, and we explored the city in so many ways! The day trip to Windsor was beautiful, and the tour guide, Kevin, was FABULOUS! London is a wonderful place, and we thoroughly enjoyed exploring it. With Gate 1 doing all the "heavy work" of hotels and tickets, it was even more enjoyable. THANK YOU! Looking forward to traveling again with you! We had a wonderful time! I will definitely use Gate 1 travel for our next trip! Everything went as planned. Our trip was wonderful! 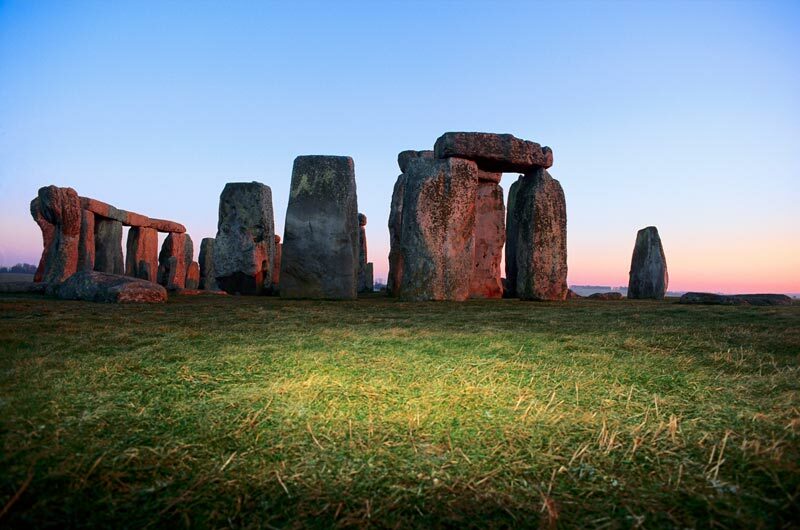 We really enjoyed the UK, the hotel and one day trip we took out to Windsor, Stonehenge and Bath. We honestly tell everyone we know about Gate 1 Travel as we've always had wonderful experiences traveling with you all. Thank you again and I'm sure we'll be booking another trip soon!! This was our third trip booked through Gate 1 and it was very enjoyable! All the many details came together seamlessly, the accommodations were more than satisfactory, and the hotel staff very friendly. We're planning to travel again soon using Gate 1, hopefully organizing a larger family trip by taking advantage of your efficient agency experience and most affordable services. Trip was fantastic, all of the logistics was great, places are amazing. I definitely travel again with Gate 1. It was fantastic. I was well taken care of. Our guide knew his country well. Very informative. 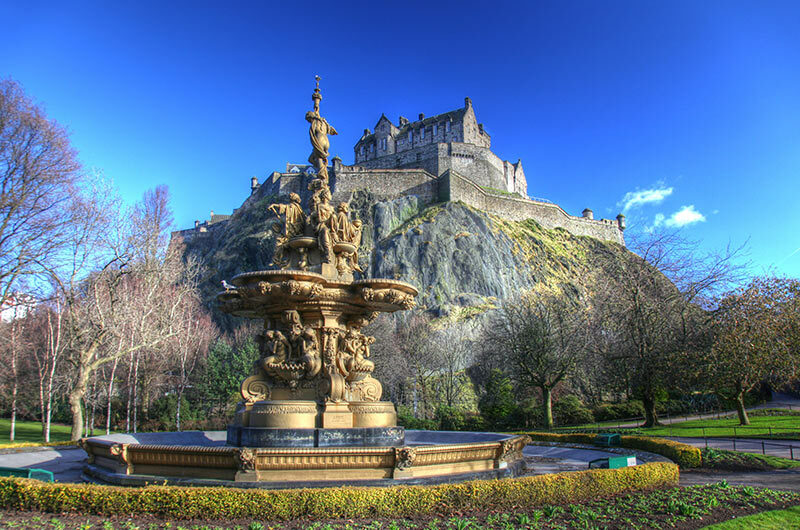 The England & Scotland trip was very pleasant, the weather was good, the scenery is beautiful, and the tour guid is excellent, overall is a very wonderful experience, thanks to Gate 1 Travel. Definitely I will recommend Gate 1 to my friend . We had a wonderful time! We saw so many awesome sights and tried a lot of great food. My favorite activity was the Louvre. The trip was more than amazing. My family and I had soooo much fun it is hard to put into words. We truly enjoyed everything the Gate 1 package included. The Airport to Hotel transfers were the best and made it easy for us to travel. 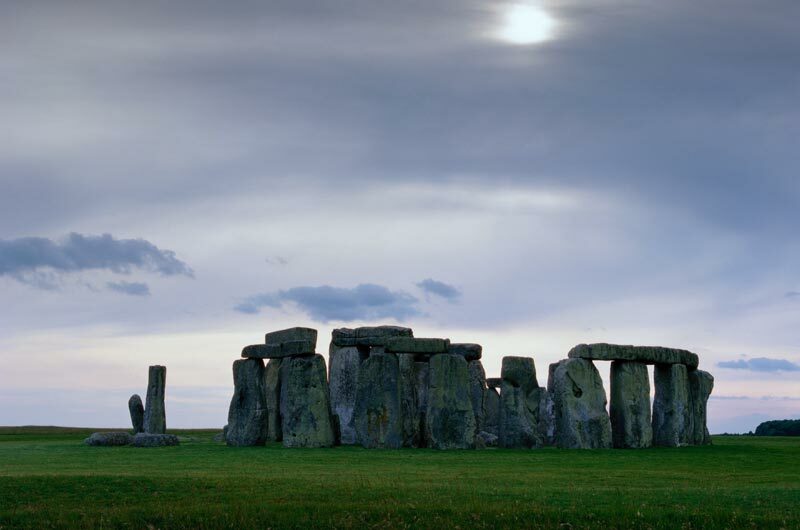 We signed up for a tour while in London to Windsor, Stonehenge, and Bath that truly made it memorable. Paris was all that we expected and more. My parents celebrated their wedding anniversary at the Eiffel Tower :) Thank you for your support in setting up this wonderful trip. I will be sure to use Gate 1 Travel again and again and again. We had a wonderful time. The trip was well planned and the hotels were very good. Ann was first rate -she was extremely organized, funny, and very attentive. And she knew her history. Les is a skillful driver and delivered us to our destinations without mishap. Wonderful. We went with you guys after a good experience in Italy last year and we we were not let down. Accommodations were again good. And the guide knew the areas and was personable and interesting. I also thank you for letting me call you personally to help us with flights and arranging an extra day! Alecoque was an extremely competent and able tour manager. She provided great insight into Ireland's history and current political situation within the Eurozone. She was warm, friendly, professional, knowledgeable, positive, and treated each participant with the same degree of respect and attention. Likewise, John, the driver, was a great addition to the team. His expertise driving a large sized bus down narrow country roads and busy city streets was amazing. Always we felt safe and secure with his driving. The hotels, meals, local tour and guides, and scenic drives were all outstanding. For us, who have travel many times with Tauck, the tour far surpassed our expectations. We have NO COMPLAINTS. Please don't change a thing because you have a winning product. With Alecoque and John at the helm you can't go wrong with this tour. We would love to take it again! Another really great trip from Gate 1! This was the third time we have used Gate 1 for travel and we are super pleased with the value/organization/people involved-coordinators, drivers, tour guides. Thanks so much! Our trip was incredible! Evelyn, our tour manager in Ireland and Michael, our tour guide in Great Britain and Scotland did an excellent job. They both made sure we were comfortable, safe, and informed of all of the rich history of the cities we visited. The two of them are very knowledgable and shared all the information in a friendly and charming way. The accommodations and the pace of the trip were excellent. Our driver Les in Great Britain and Scotland made our trip safe and relaxed. He was always very helpful and had a great sense of humor. This is our 4th Gate 1 trip and each trip keeps getting better because of the dedicated people that work for your company. Scotland and Ireland were amazing. I tried Haggis as promised and it wasn't bad, although I didn't take seconds when Terri offered. Your advice about the add ons/excursions and currency was helpful. Thanks for answering all of my questions. The tour was top notch and I will travel with Gate 1 again. The trip was fantastic! I want to tell you that Gate 1 is extremely well run - very well organized, and with excellent staff. Our Tour Guide, Paul, was outstanding - kind, informative, funny and all round a terrific person. Our coach driver was also outstanding - a great chauffeur (getting us out of a couple of traffic blockages very skillfully) and he also was very kind - nice guy! The tours were great and we had enough flexibility to adjust our own pacing. In short - A-OK! And even our flights went well and the connections to and from Heathrow were fine. Not a single "hitch!"